Facial serums are something that I really want to look more into, they are one of the ‘difference making’ products that can be tailored to all skincare problems, for example what are you looking for? Anti-agining products? Anti-Blemish? Anti-Redness? The list can go on, and serums are there to fix your ‘anti’ requirements. For me my main ‘needs’ is evening out my skin tone. 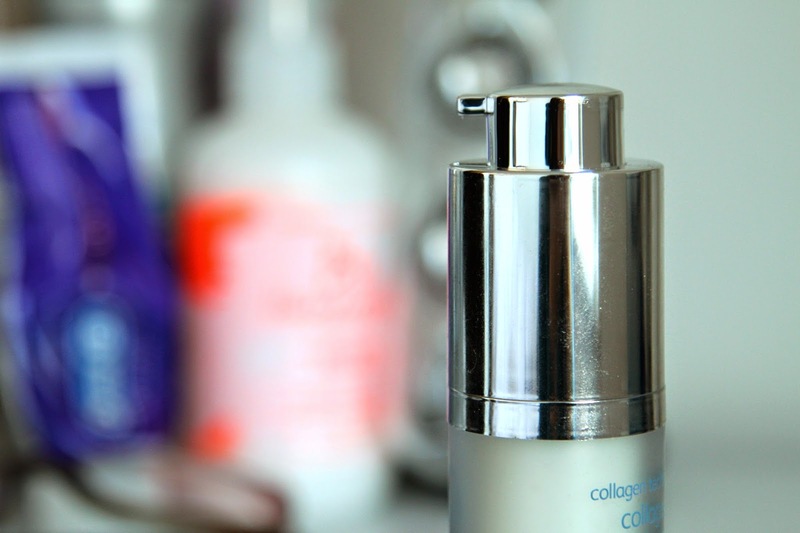 I try to find products that make my skin more plump, alive and even-toned. Hydration is another key element to all skincare products I look for, and today I bring to you all a product that has all of this combined. Anti-Aging, skin-tone evening and all round marvellous. 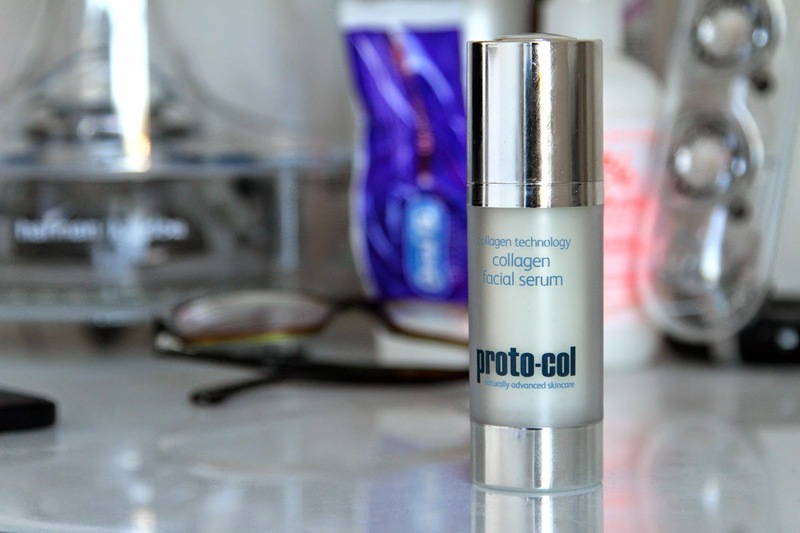 The Proto-col Collagen Facial Serum is a light weight, gel textured formula that contains real silk and collagen to give a youthful burst to your skin. I’m 100% for using anti-aging products at a young age because its easier to slower the signs of ageing than taking them away. FACT people! This formula is also packed full of vitamins including A, B and E, to enhance the effectiveness of this product. White coral seaweed and hydrolysed silk soothes and hydrates skin giving it that youthful appearance while fresh royal jelly nourishes your skin with antioxidants and amino acids. The packaging is also gorgeous. It has a twist top that reviles the pump just like the well known Tom Ford Intensive Infusion Eye Treatment. I absolutely love it. Topped off by a shiny plastic lid and base giving it that luxurious appearance. This product is great for people suffering from fine lines, wrinkles and uneven skin-tone. 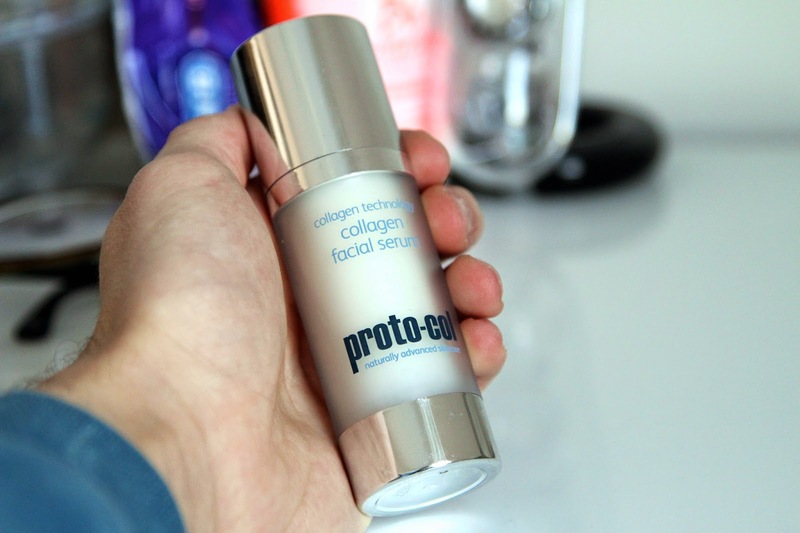 I highly recommend investing into this brand, I can see great things for the future of Proto-col. Give it a go!